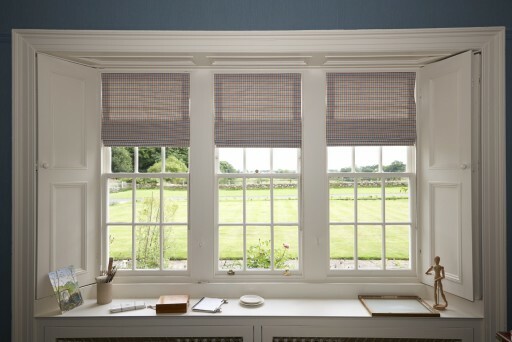 In the Summer of 2014 I worked on a fabulous house near Wallington, the house was being completely renovated and modernised when I visited the first time to measure windows and discuss window styles. 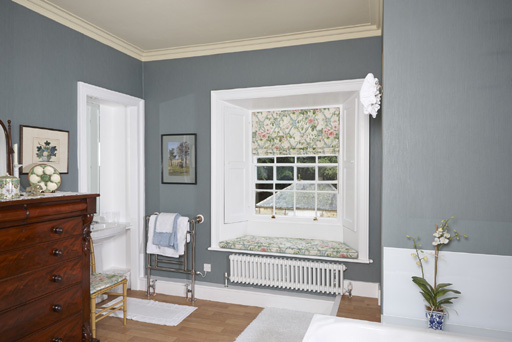 I was lucky enough to see the stunning transformation, from the completely stripped shell to finished family home. 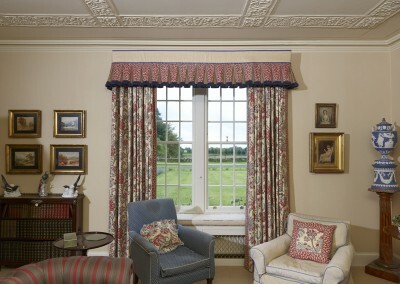 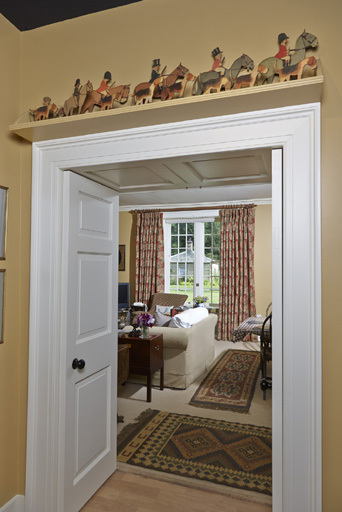 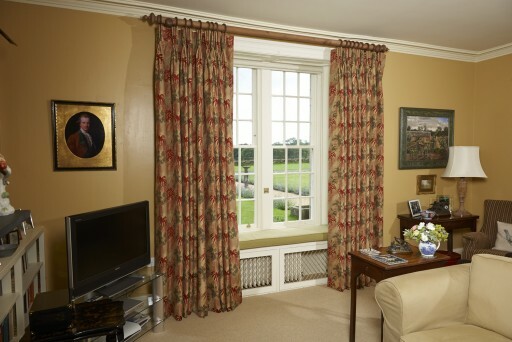 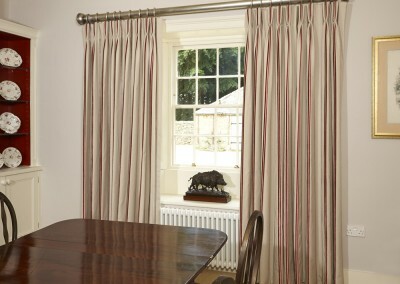 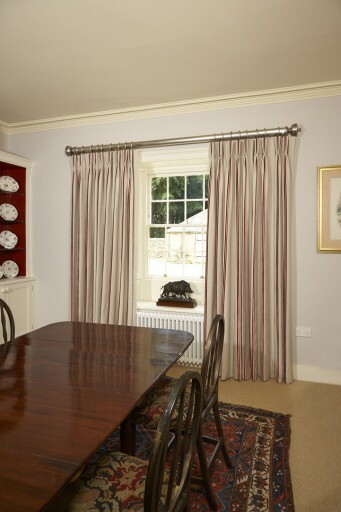 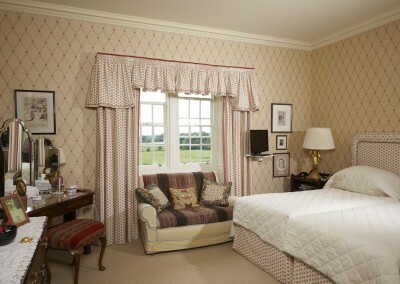 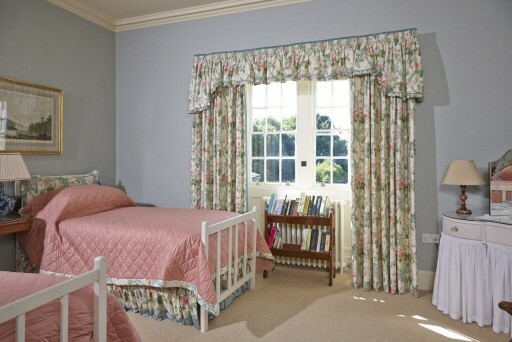 This was a challenging project as over half the curtains, valances, roman blinds and window seats were made from 25 year old fabric which had been curtains in the couple’s previous house. 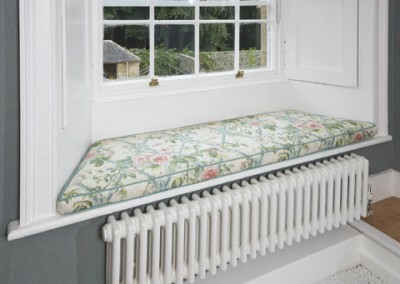 All the recycled fabric had been discontinued many years before so I had to do careful calculations before any cutting could start. 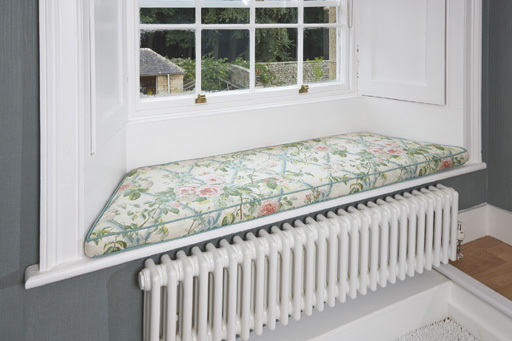 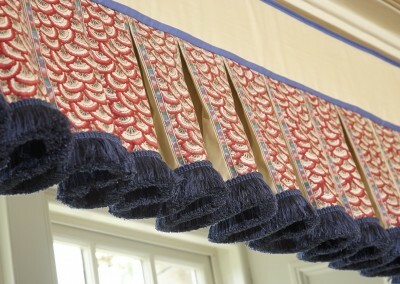 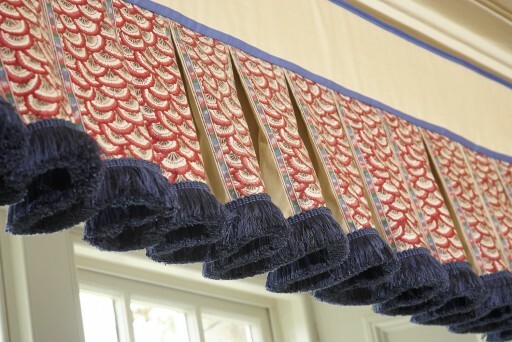 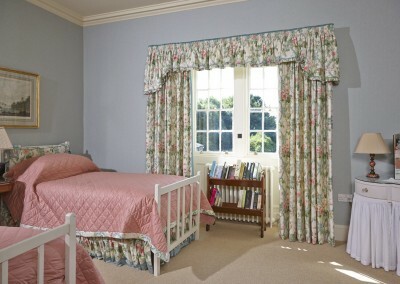 Once the fabric was pressed and made into interlined curtains and valances, it got a new lease of life and it wasn’t obvious that the fabric was not new. 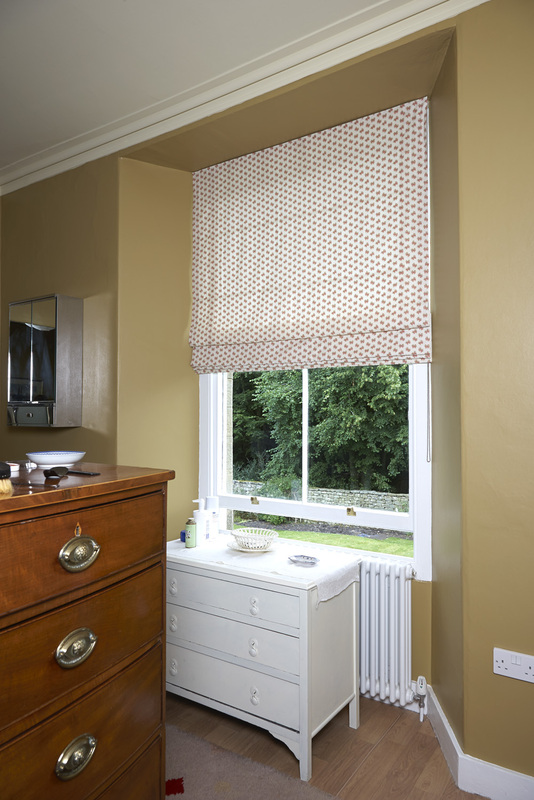 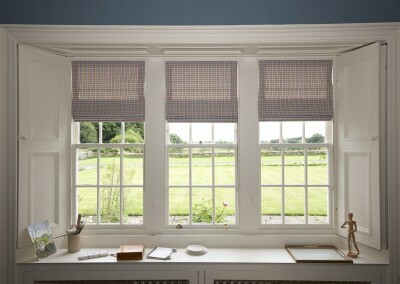 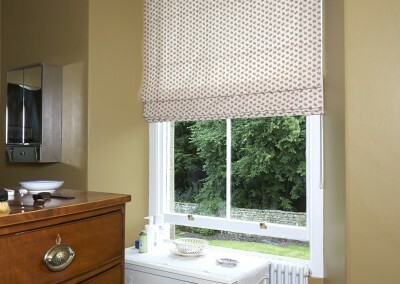 Bathroom – roman blind .